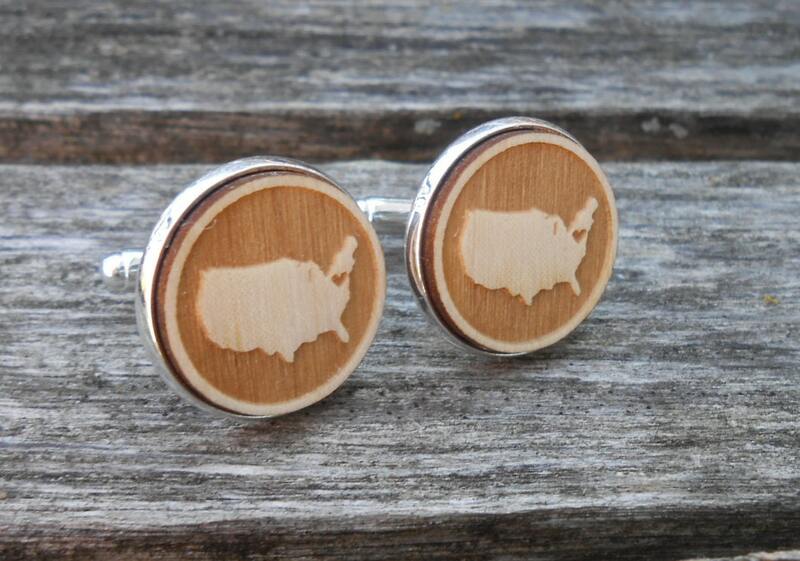 These wood cufflinks are really cool! 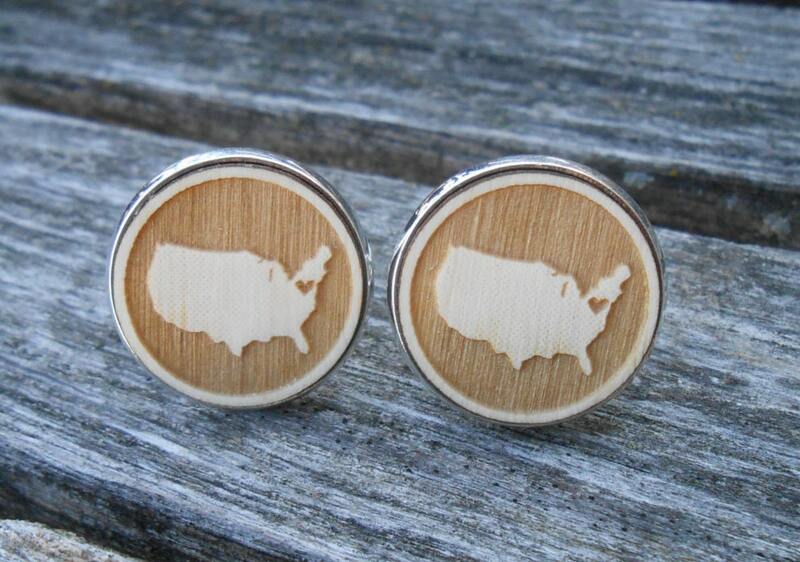 These can be customized to have a heart over your city! 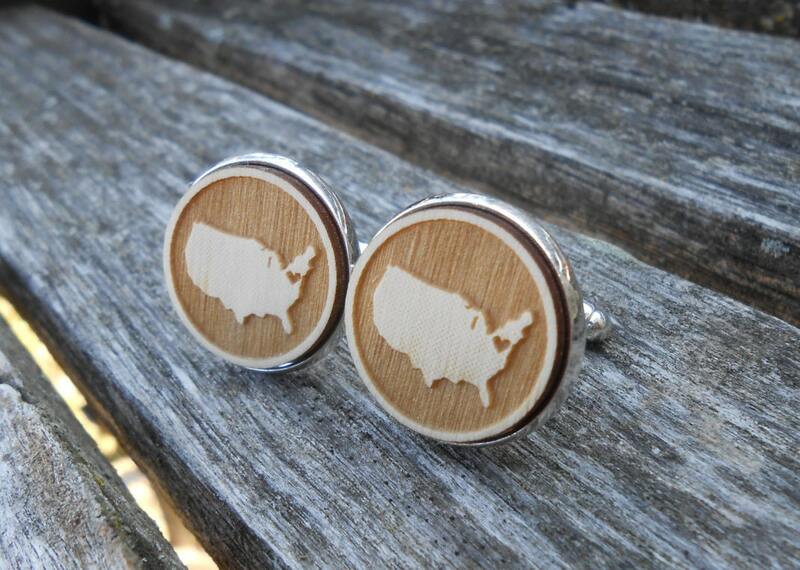 We can do the same city on each cufflink, or a different city on each cufflink. 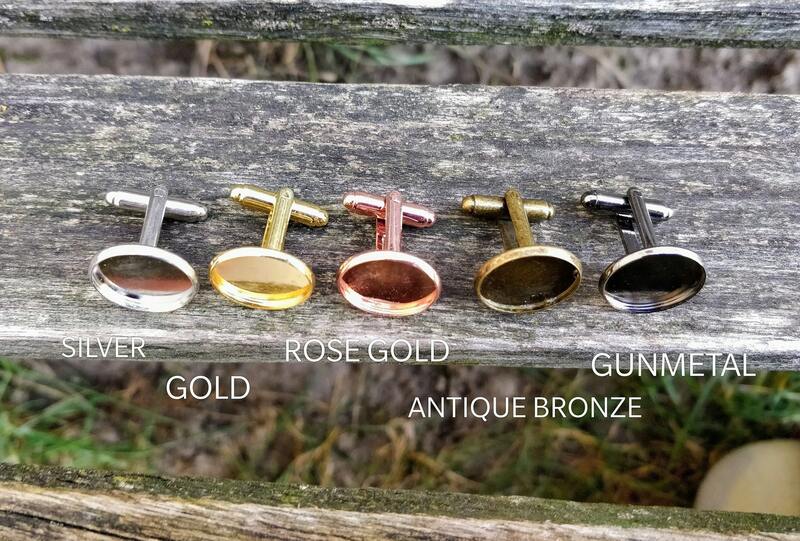 They are set in a 20mm cufflinks. 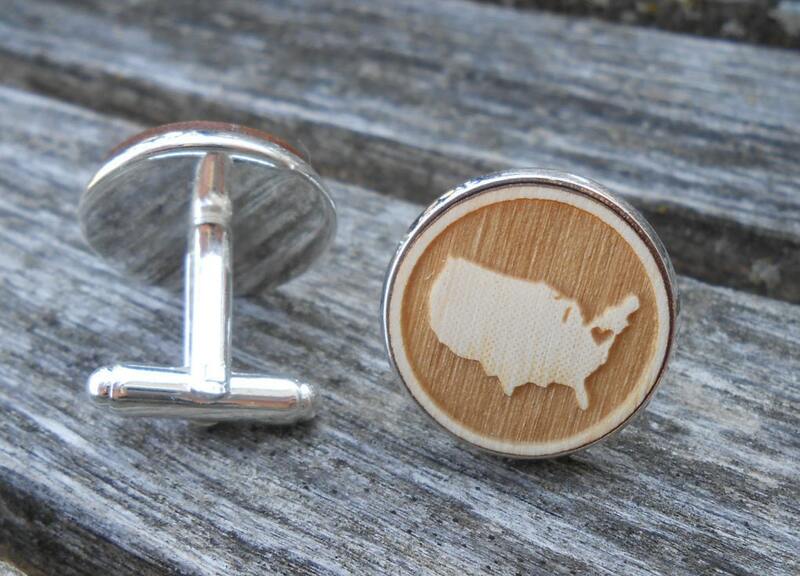 If you want a different country & city, please let me a note at checkout. We can also do these in states! 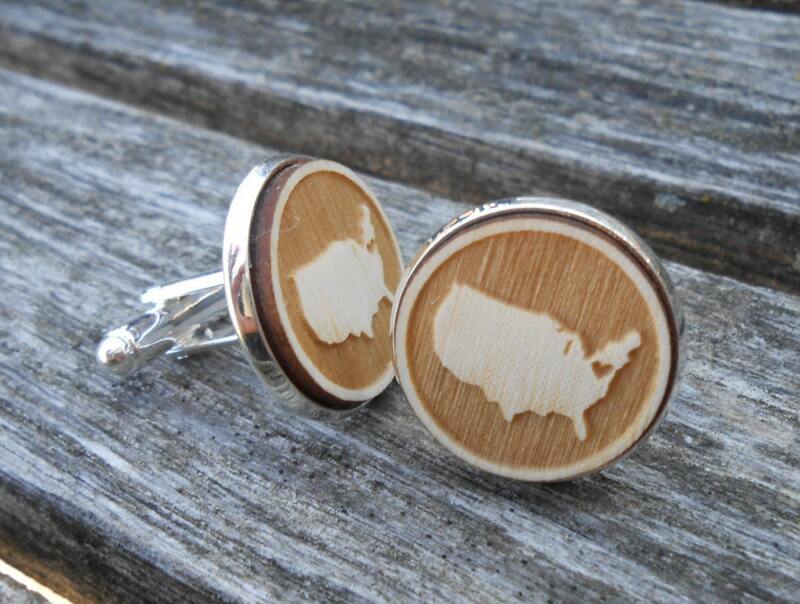 We do custom cufflinks! Just ask. I can make these with words too.